Your brand will come to life with powerful and professional images designed to engage your clients and build your online presence. Do you want to stand out and up your online social media presence to connect organically with new and old followers? Are you sick of trying to figure out what to post each day and desire more consistency in your brand and story telling? Do you want to share more of who you are and what drives you with your audience? Do you want professional photos of yourself looking and feeling great? 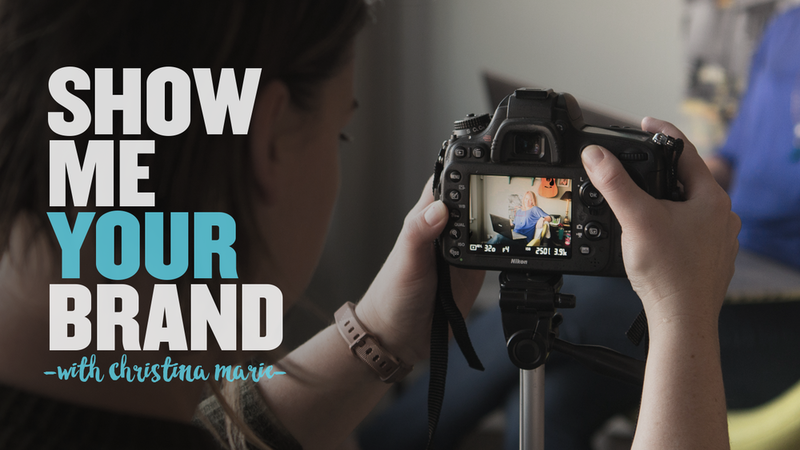 If yes to any of these, you need Personal Brand Photography! By investing in yourself and your brand you can get enough images from one shoot to post on social media everyday for three months straight. Tons of images ready to post across all your platforms right at your fingertips! Hello, there! I'm Christy, the woman behind the lens. I have been a photographer for over 15 years and absolutely love bringing my clients' personal style and brand to life. Your customers and clients need to see what you can do and engaging them with professional images is just one way you can build life-long relationships and obtain more, engaged followers on social media. A picture really is worth a thousand words and maybe a thousand likes too! So, what are you waiting for? SHOW ME YOUR BRAND! E-mail, phone or a coffee date, let’s set up a time for a quick chat to get to know each other better. Send over your social media handles so I can learn more about you and your business and all you have going on. I’ll also send over a questionnaire to help us discover the best stories to tell. We hit the ground running by photographing your stories and reviewing your images immediately following the session. Within one week you can expect your favorite images ready to go and in your possession.